It’s never too late to add read-alouds to your daily life. Kids love stories and there are endless choices for topics. If you’ve “failed” to read to your kids, begin today. In short order you’ll find you enjoy reading together as much as your children do. And the more time children spend in reading activities, the easier it is for them to become readers, too. Aside from lack of exposure to reading experiences, there are many reasons why children do not learn to read easily. These can range from simple understandings about letters and sounds to processing problems that may require professional interventions. It’s important to know that the earlier reading problems are diagnosed and treated, the better the results. In order to read, children must have the understanding that words are made up of smaller bits called phonemes. Phonemes are the sound chunks made by letters. For example the word cat has three phonemes: the k sound of c, the vowel a, and the “t” sound of t. While a child hears the word cat as a whole, it’s important to be able to break the word into sound chunks for the purpose of learning to read. A healthy, growing vocabulary is one of the best indicators of success in learning. Knowing the meaning of words and being able to learn new words regularly is a great plus in becoming a fluent reader. The more a child reads, the bigger the vocabulary. Once decoding skills are developed, we expect children to be able to read aloud fluently. A strong reader should sound as if he or she is talking naturally with the proper ups and downs in tone, and with the impression that there is strong understanding. It is fairly common for children to read as if they understand, but upon further questioning, it becomes apparent that they really haven’t made sense of the words. Comprehension is more than just remembering facts; it’s being able to discuss the information in meaningful ways. For example the color of Cinderella’s ball gown isn’t nearly as important to know as the fact that she’s leaving her scullery position to capture the heart of the prince. These problems require specific testing by professionals and therapy to help the brain identify sounds or visuals correctly and be able to interpret them. 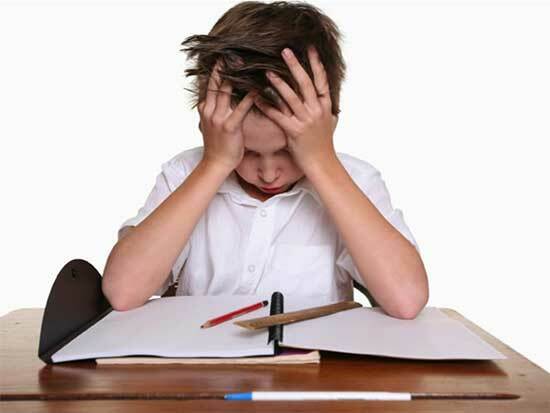 Children with significant attention problems find it difficult to focus on reading skills long enough to be successful. Some children have difficulty remembering the shape of a letter or the sound it makes. They require extra practice to become successful in learning. For the child learning English as a second language, it is important to know that it takes approximately six years to become fluent in English speaking and reading skills. Some children have difficulty with focusing on words even though they may test 20/20 on basic reading tests. If there is blurring or double vision, or difficulty in “tracking” along the lines, children can be helped by reading therapies. Have fun with books, leading your child to an appreciation of the printed word. Find books, comics, or any other printed material that your child loves and read them together. Build word awareness. Teach your child to recognize and write his or her name, and then expand known words such as the names of siblings, common food items, color words, etc. Finally, there is no substitute for lots and lots of reading. Enjoy old favorites and find exciting new titles. Even struggling readers will work hard to succeed if they’re motivated. Make the most of your child’s current interests. If dinosaurs are the new topic of interest, be sure to find lots of books about them. An excellent resource for all things related to reading and reading success is the website www.readingrockets.org. *Reading is a very complex skill and there is no “one size fits all” when it comes to solving reading problems. Be sure to contact your child’s teacher and the school’s professional staff to diagnose and begin to solve your child’s reading issues. Jan Pierce is a retired teacher and reading specialist. She is the author of Homegrown Readers: Simple Ways to Help Your Child Learn to Read and Homegrown Family Fun: Unplugged. Both are available at Amazon and Barnes and Noble. Jan lives with her husband in the beautiful Pacific Northwest and specializes in parenting, education and family Life articles. Find Jan at www.janpierce.net.